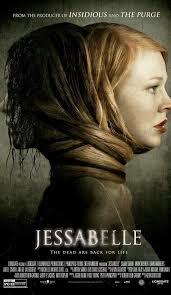 Sarah Snook is fine in this Louisiana-set addition to the Blumhouse / Lionsgate supernatural stable, as a young woman who loses her baby and the use of her legs in a prologue car accident. She goes to live with her estranged, embittered dad in the swampy middle of nowhere and discovers a series of videos recorded by her mom when she was dying from cancer (while pregnant) in the 80’s, videos that appear to predict an increasing series of strange and ghostly things happening within the house. Editor / director Greutert takes a wholly different tack from his in-your-face latter SAW sequels with a mildly creepy movie that pivots around a credible central performance, but boils down to a depressingly old-hat mixture of voodoo murmurings and J-Horror-inspired malevolent female spirits. It peters out long before its contrived, montage-friendly Twist O’Rama climax, descending into silliness.